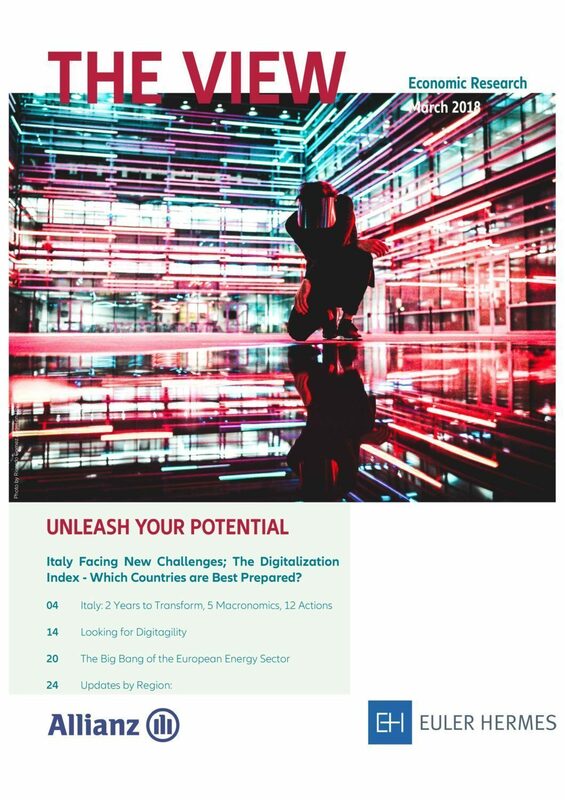 Italy facing new challenges; the digitalization index: which countries are best prepared? With a forecast of +1.4% in 2018 and +1.2% in 2019, Italy is estimated to grow above its potential for the coming years. Despite uncertainties regarding its reforms agenda, the country is seen as pivotal to Europe’s regeneration. The Enabling Digitalization Index created by Euler Hermes helps measuring the “digitagility” of countries, with the US, Germany and the Netherlands on the podium, and shows five options for countries to move up the EDI ranking. The structure of the European and possibly global utilities sector should be reshaped by a transforming deal in Germany and impact the concept of vertical integration. An analysis of the global economy depicts a comprehensive picture of the trends to watch for in the coming year.